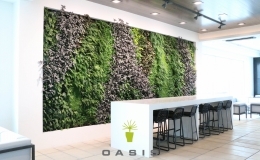 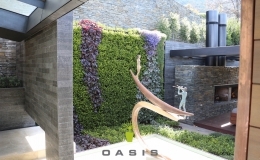 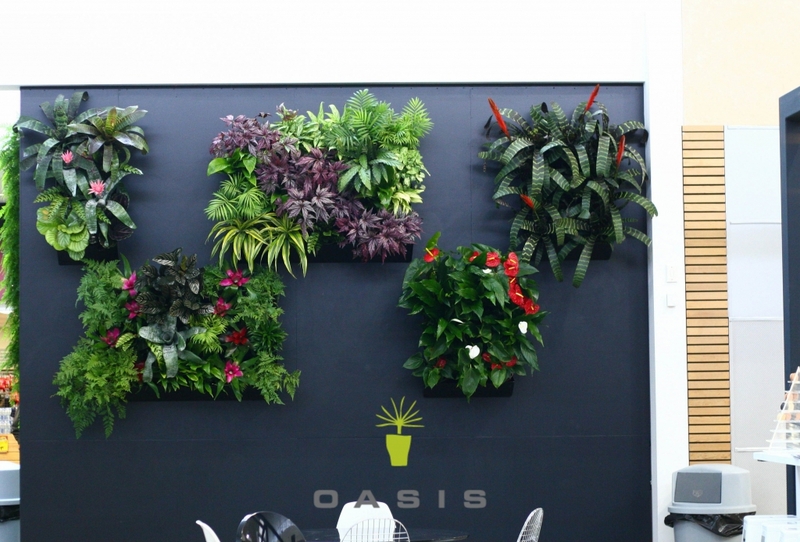 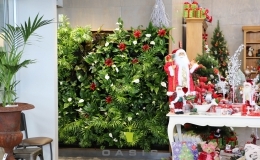 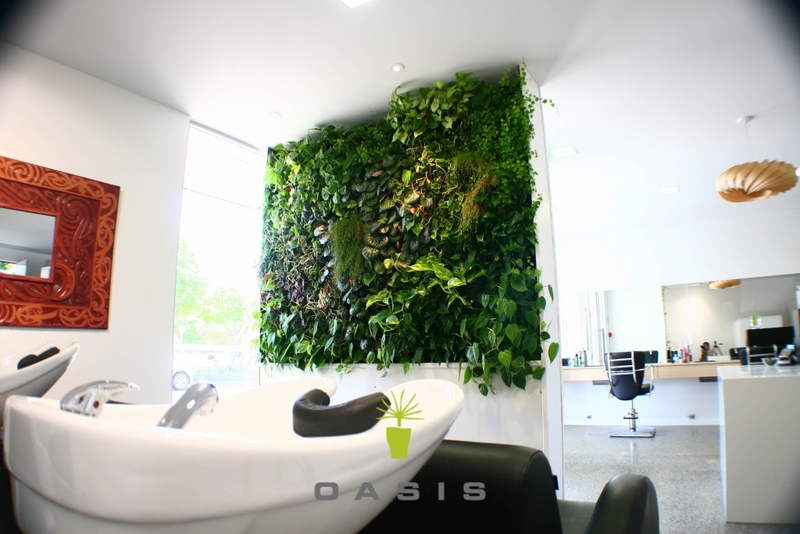 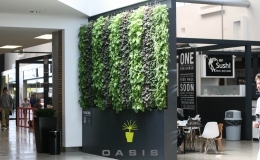 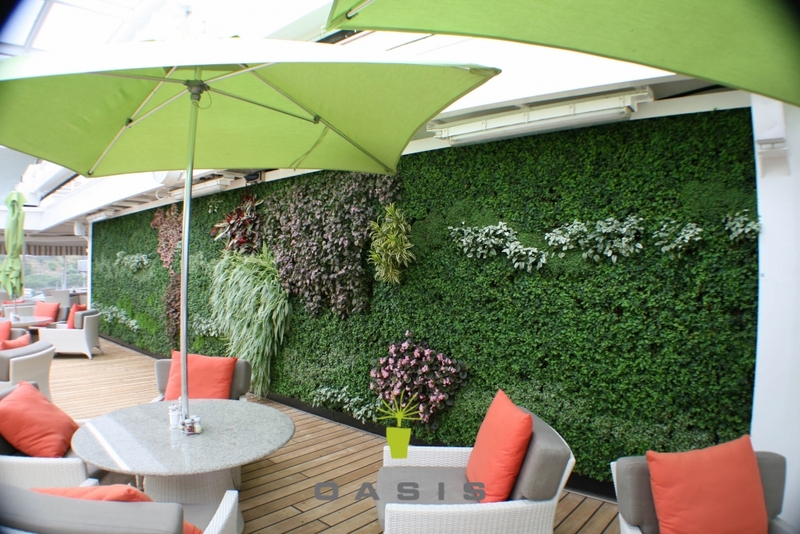 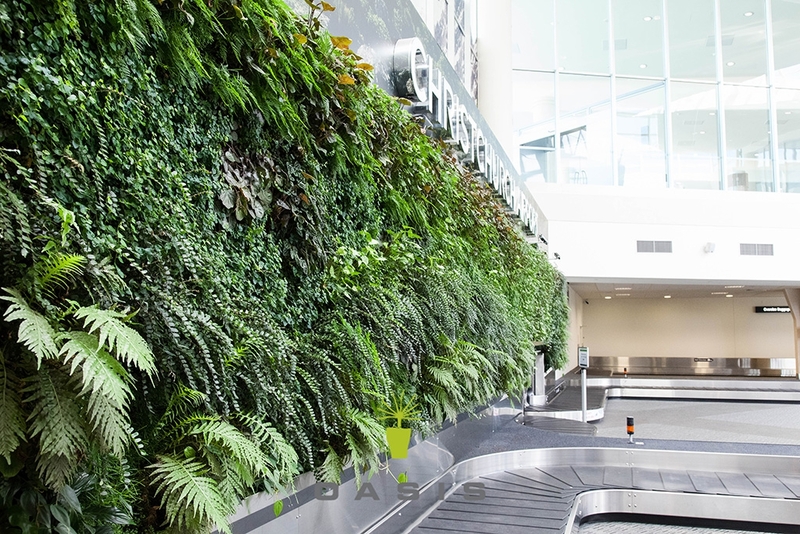 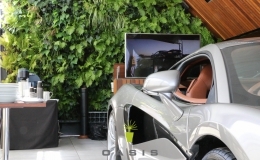 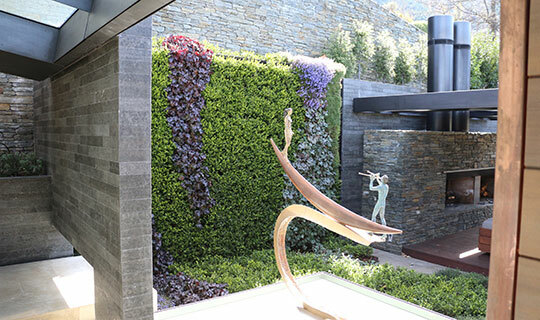 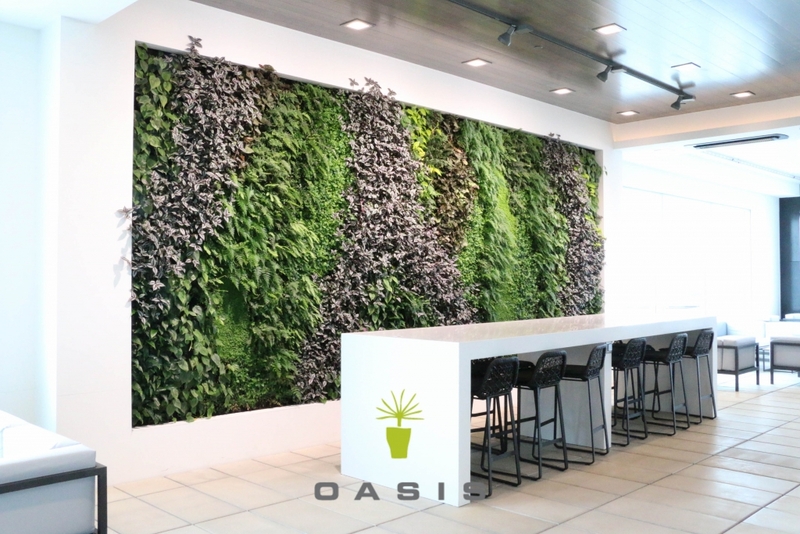 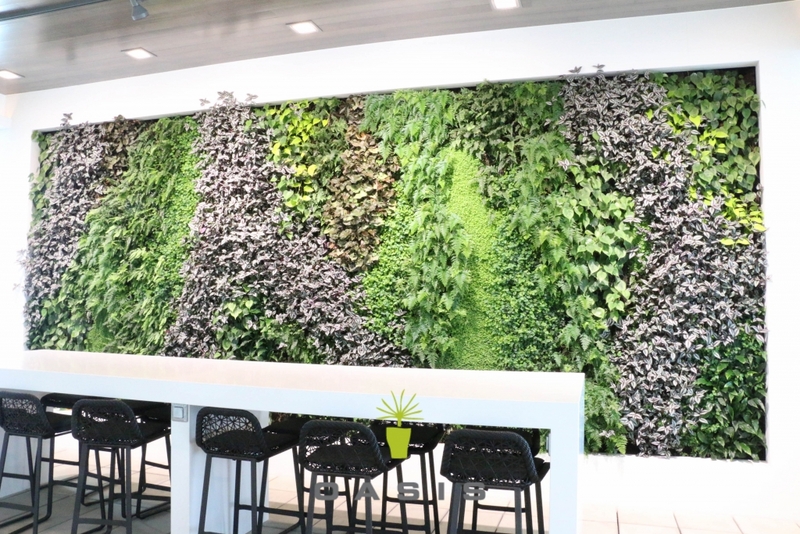 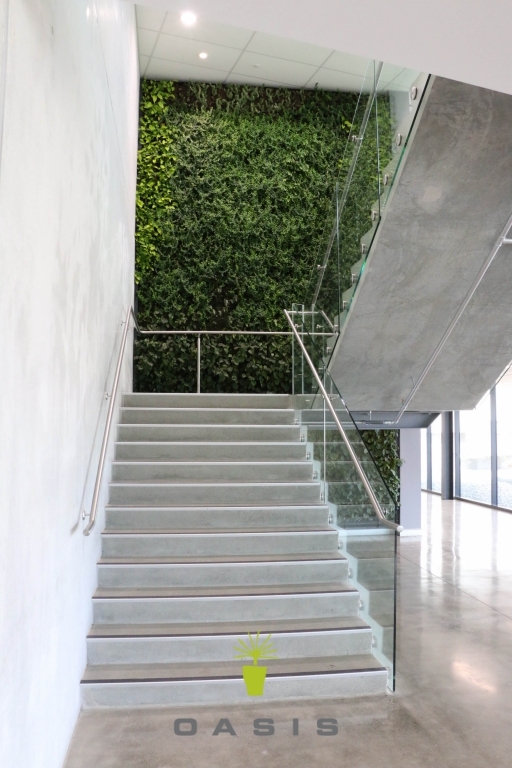 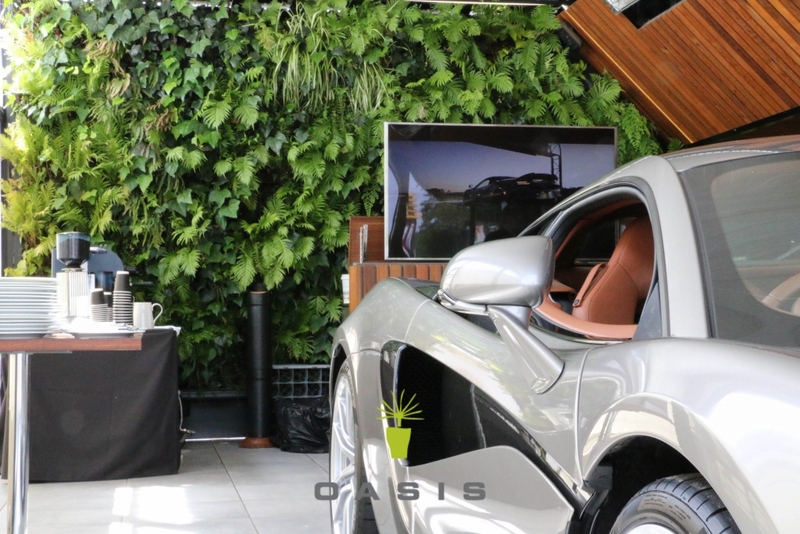 Utilizing a traditionally horizontal medium on a vertical face, the Oasis living wall system can transform any vertical structure, inside or out, in a façade of living plants. 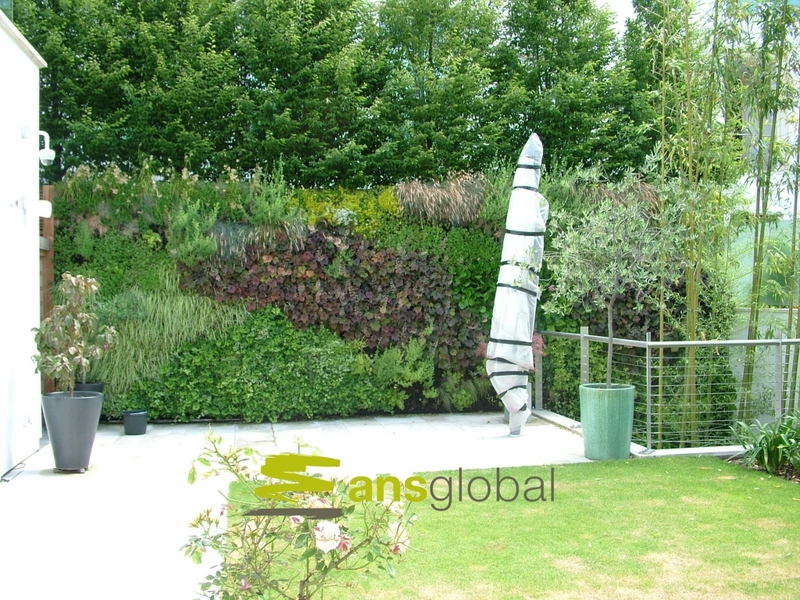 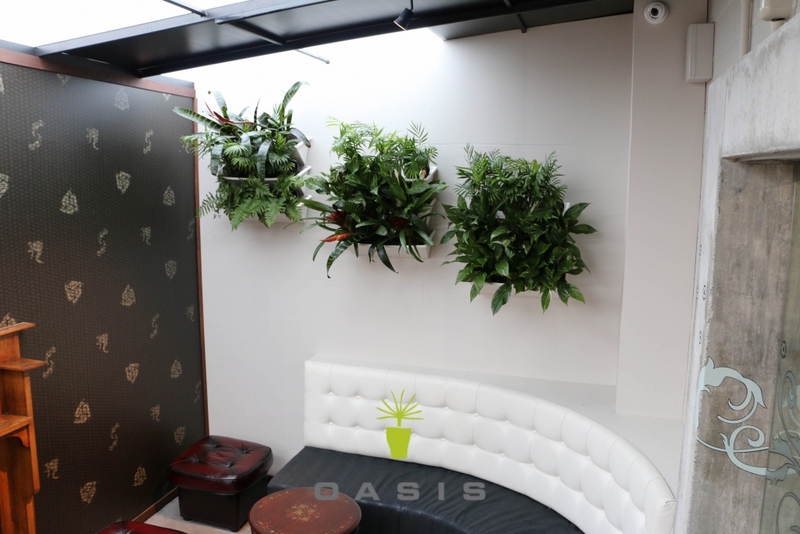 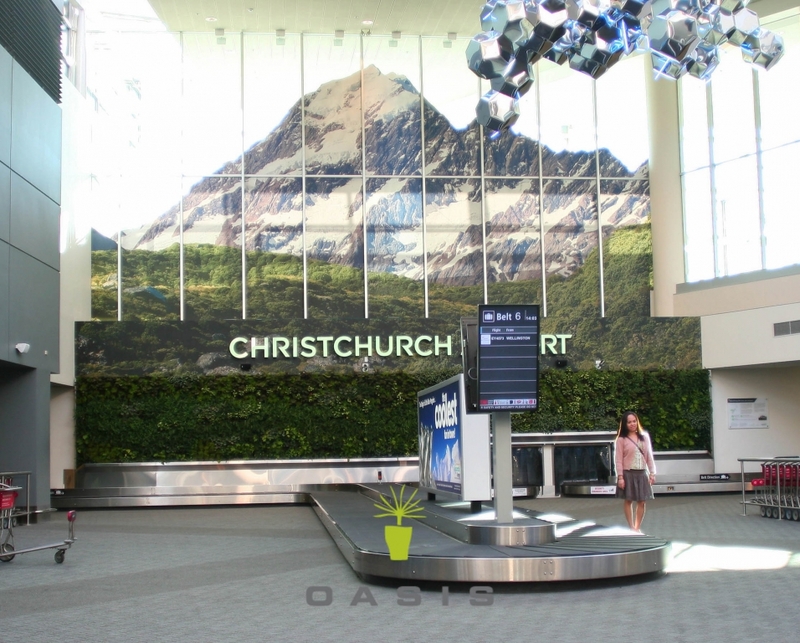 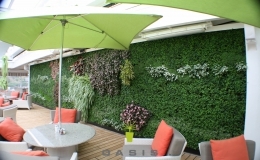 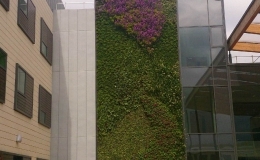 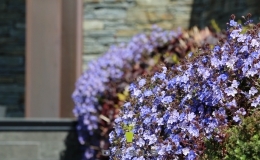 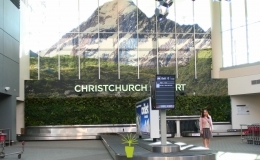 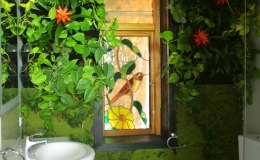 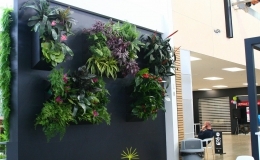 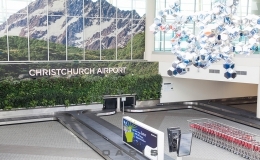 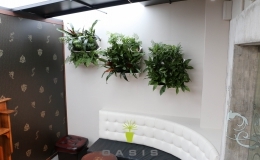 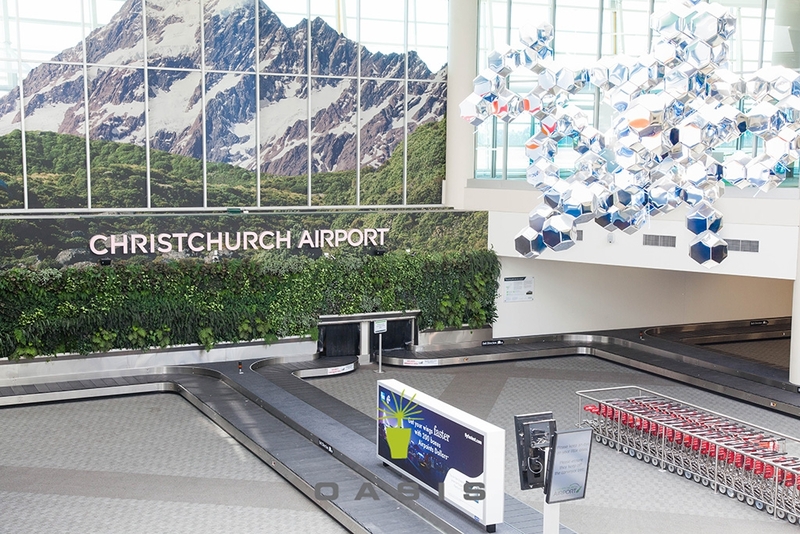 Plant green walls with lush foliage, colourful flowers or swaying grasses; form into living logo’s, letters or images. 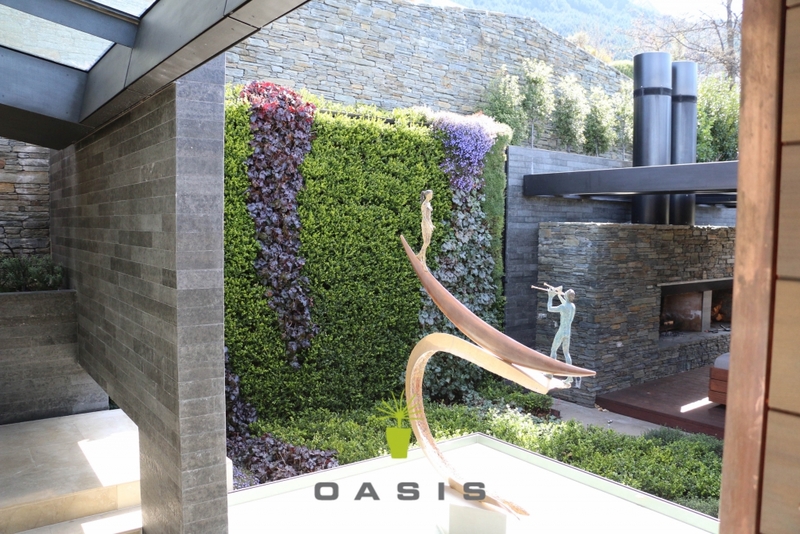 This stunning living architecture lets you be really creative. 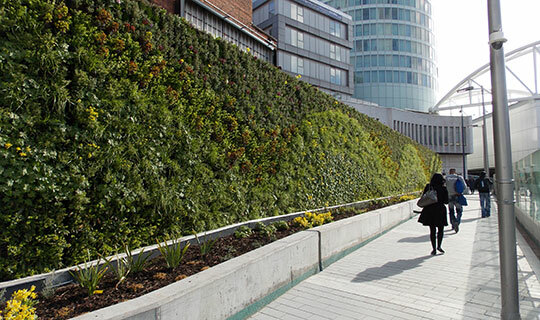 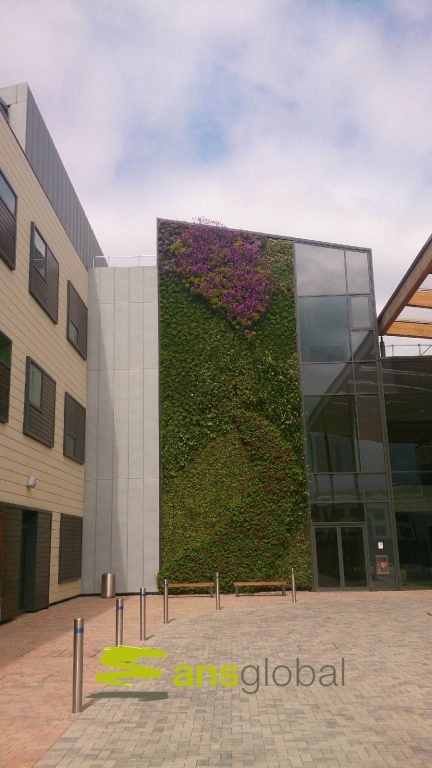 What are the benefits of an external Living Wall? 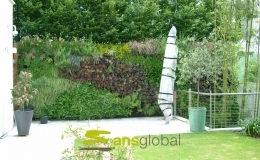 Create instant eye catching impact on the street and add to urban biodiversity; attracting bees, butterflies and song birds. 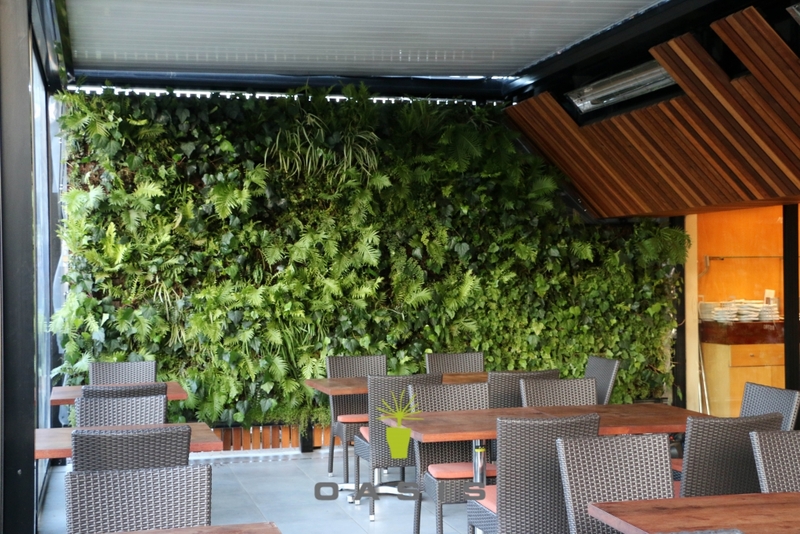 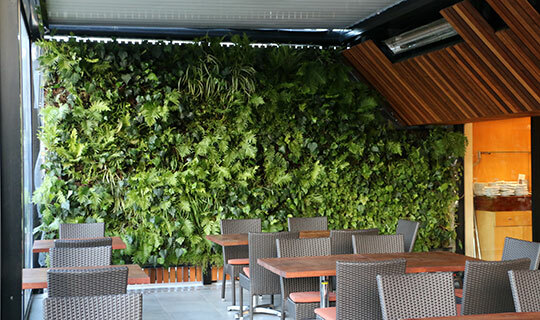 The benefits don’t just end there, exterior vertical garden systems protect your building from weather damage and corrosion, while adding insulation for a quieter building that’s cooler in summer and warmer in winter. 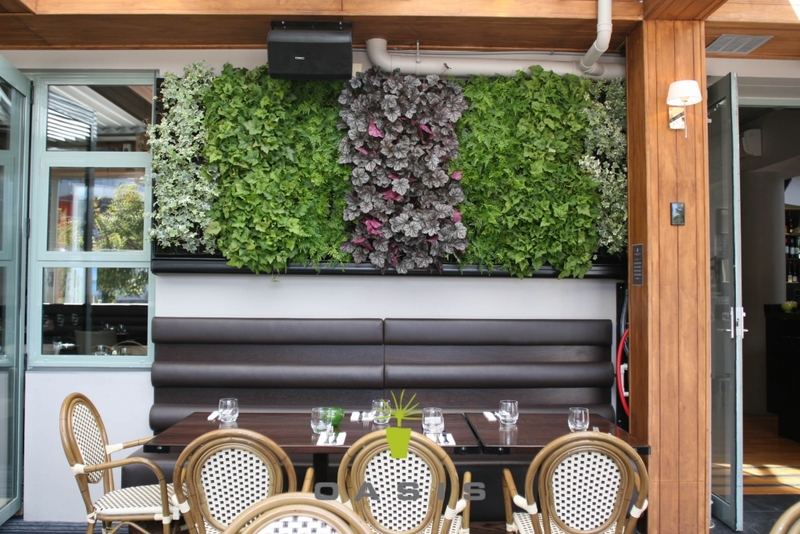 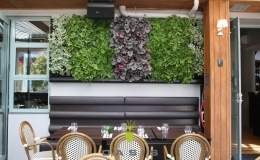 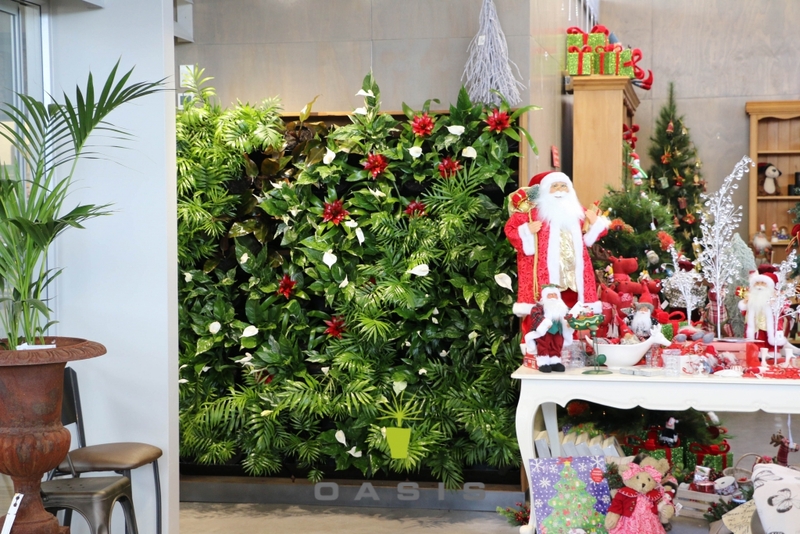 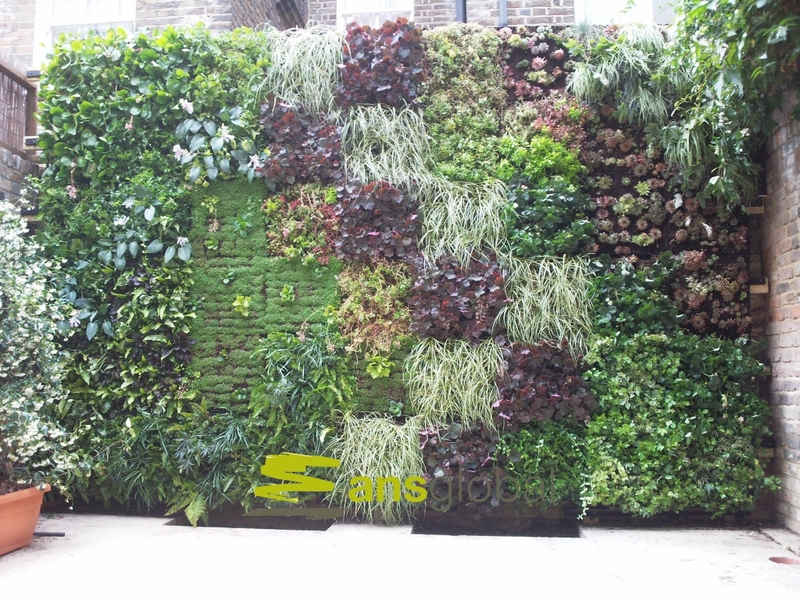 The patented ANS modular living wall system means easy installation, easy maintenance, and elegant design, all while greatly diminishing your carbon footprint. 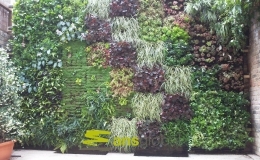 What are the benefits of an interior Living Wall? 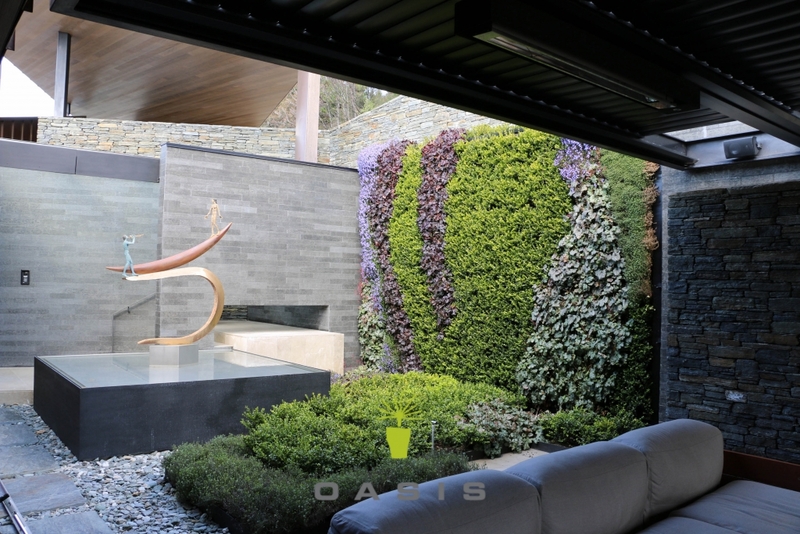 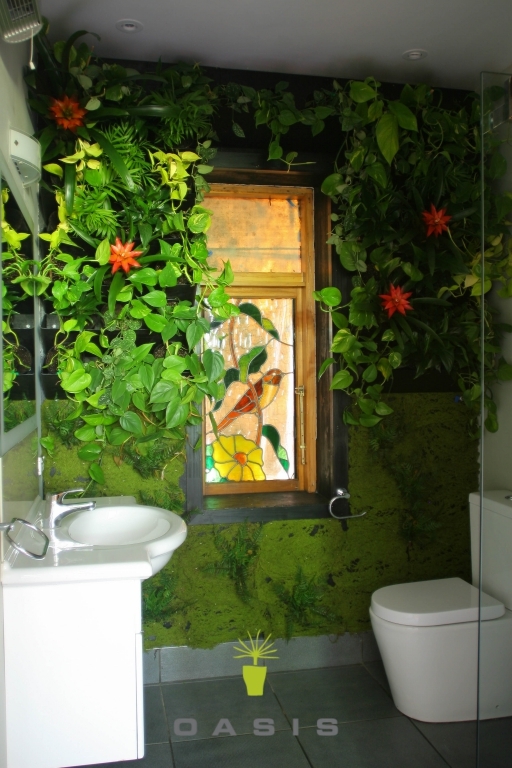 Bring the outdoors in and create a stunning art form that transforms interiorscapes into a green haven. 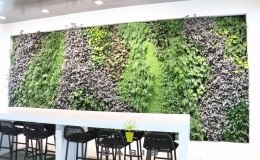 Dramatically improve air quality for healthier staff, greater productivity, fewer sick days and colleagues that really love their unique workplace. 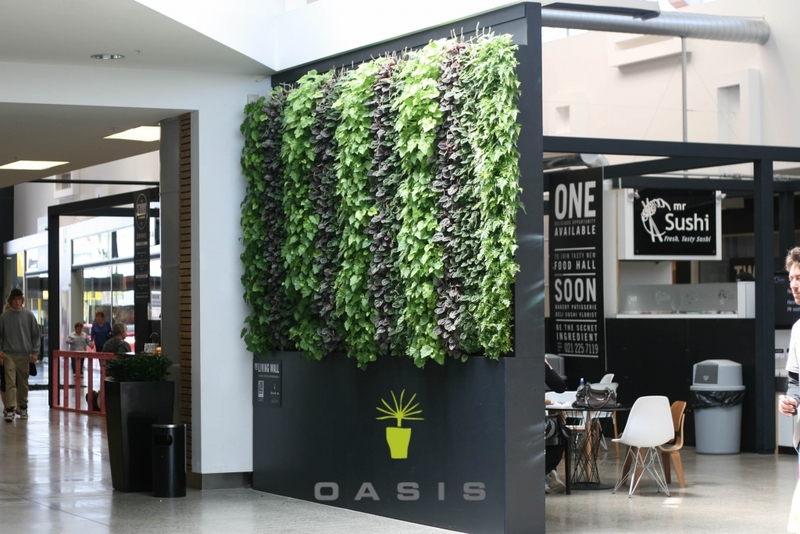 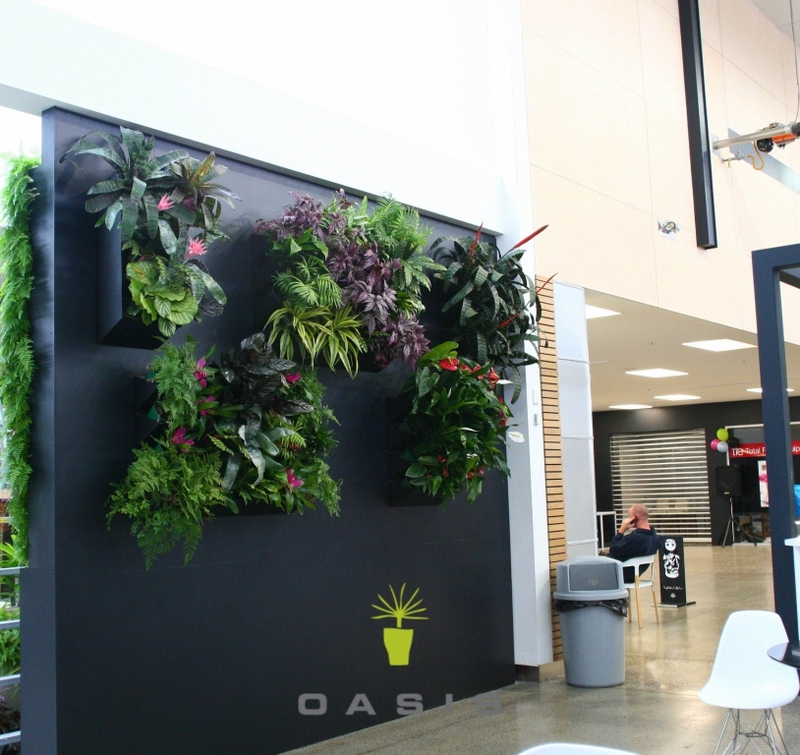 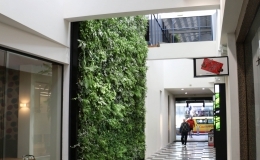 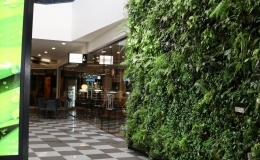 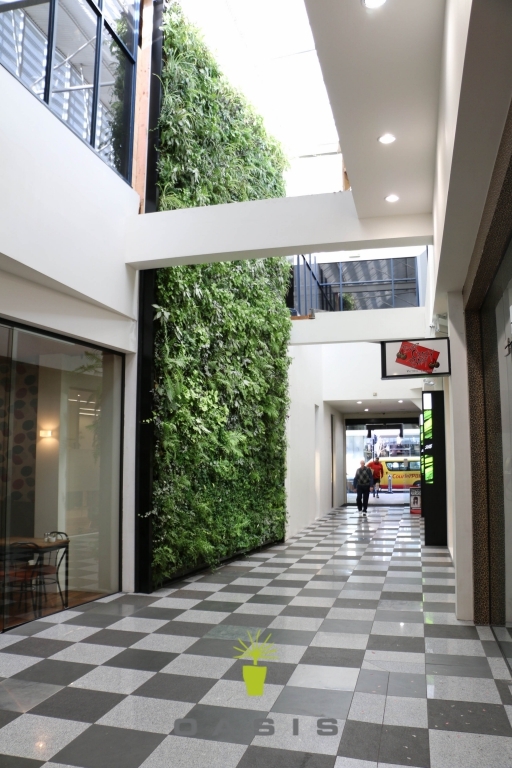 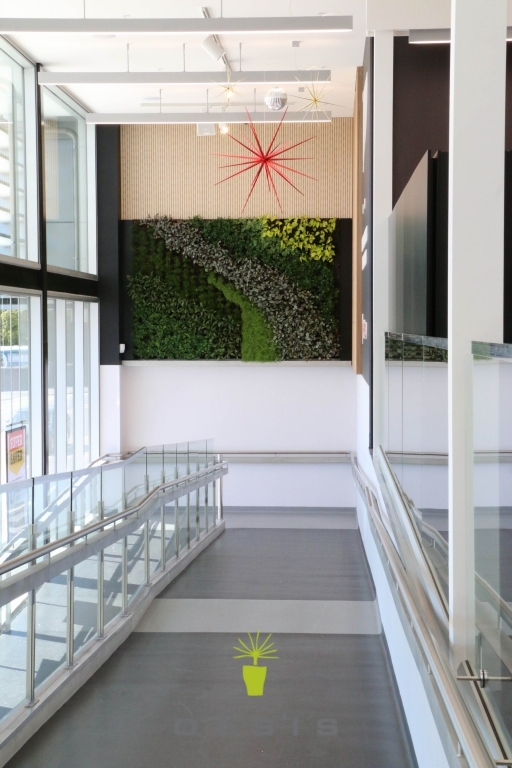 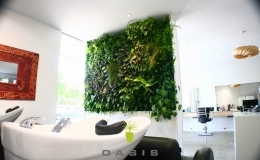 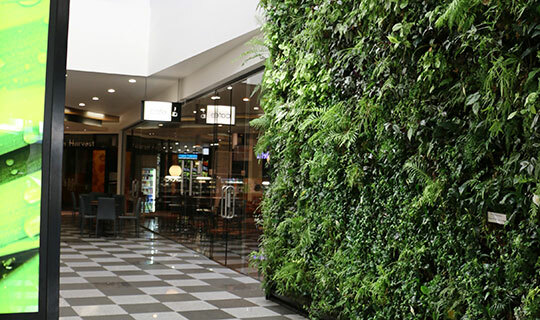 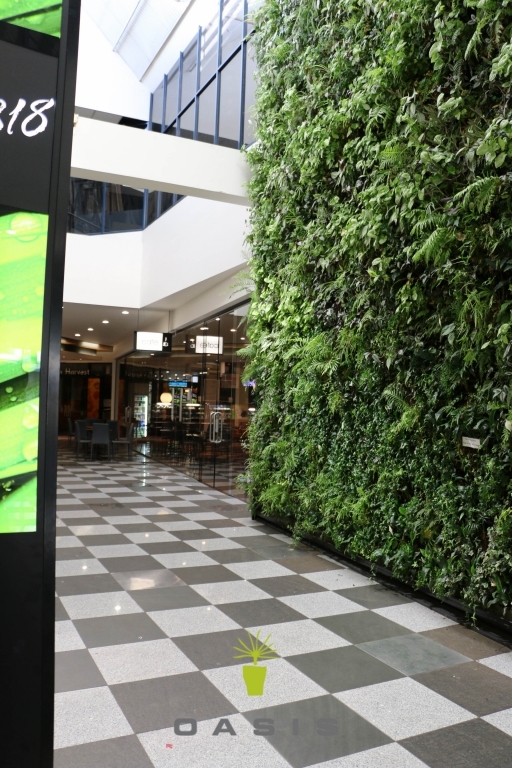 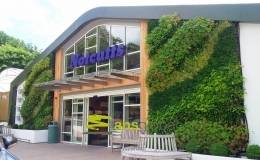 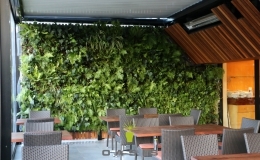 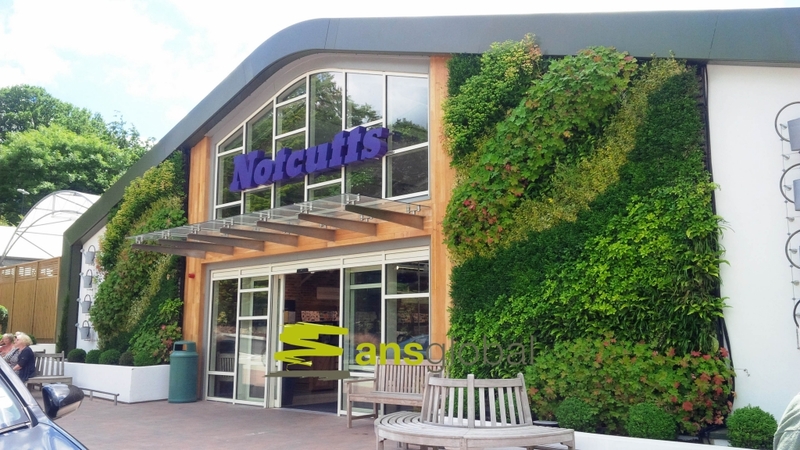 With an Oasis living wall you can make a big brand statement for your business, attract customers, and differentiate your company from your competitors by making your green credentials clear for everyone to see. 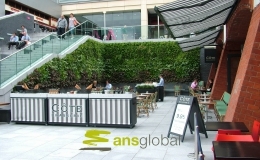 It looks great, puts your business on the map, and makes your company well known and easy to find. 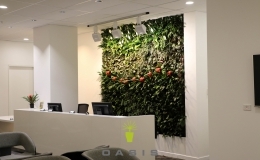 Oasis is a member of the ANS Group Global team. 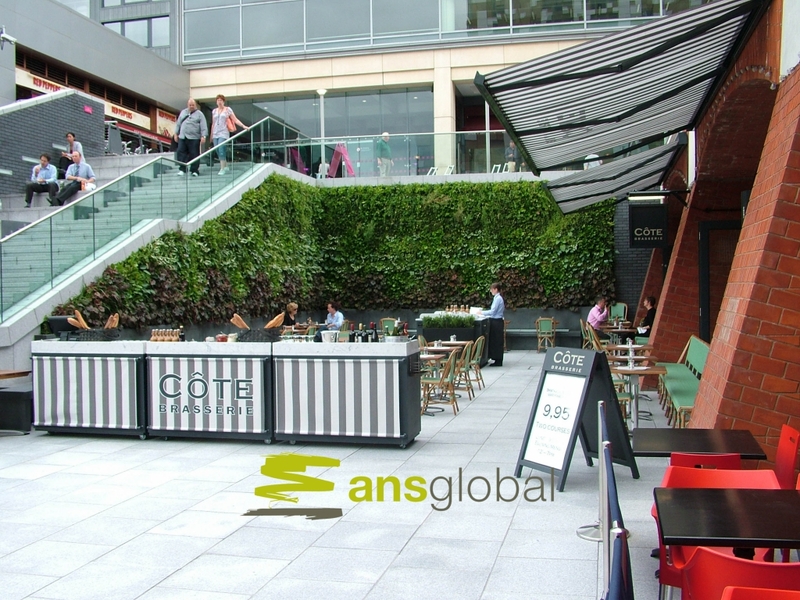 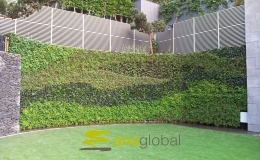 ANS Group Global is the largest greenery system supplier group in the world, having completed hundreds of successful projects internationally. 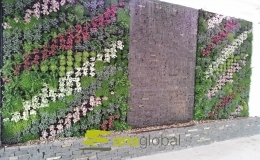 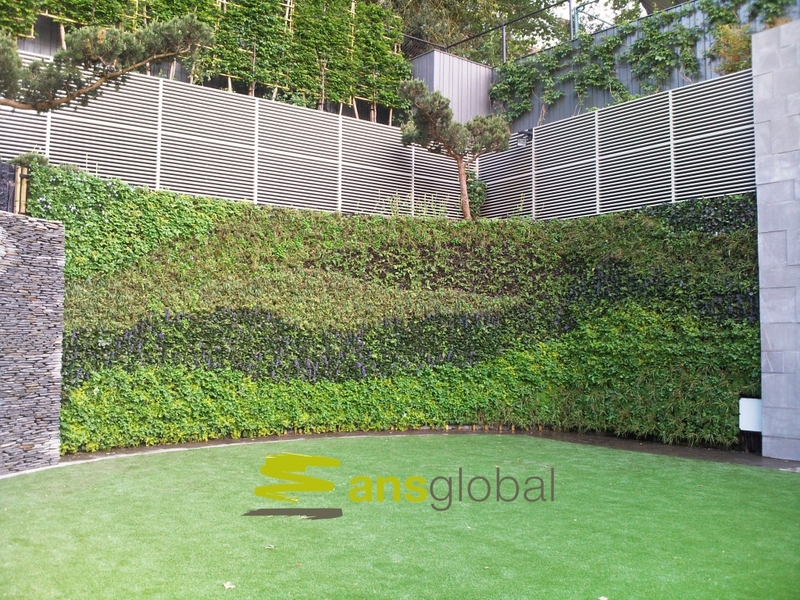 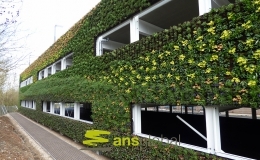 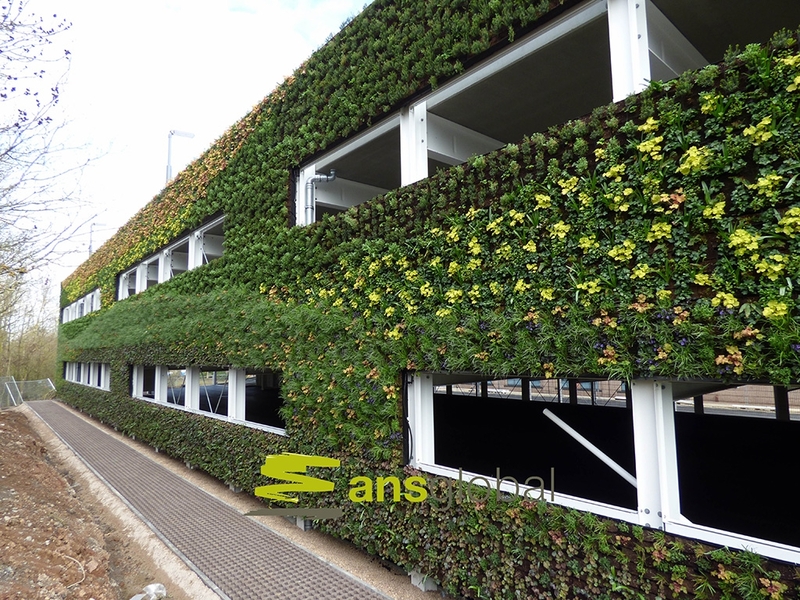 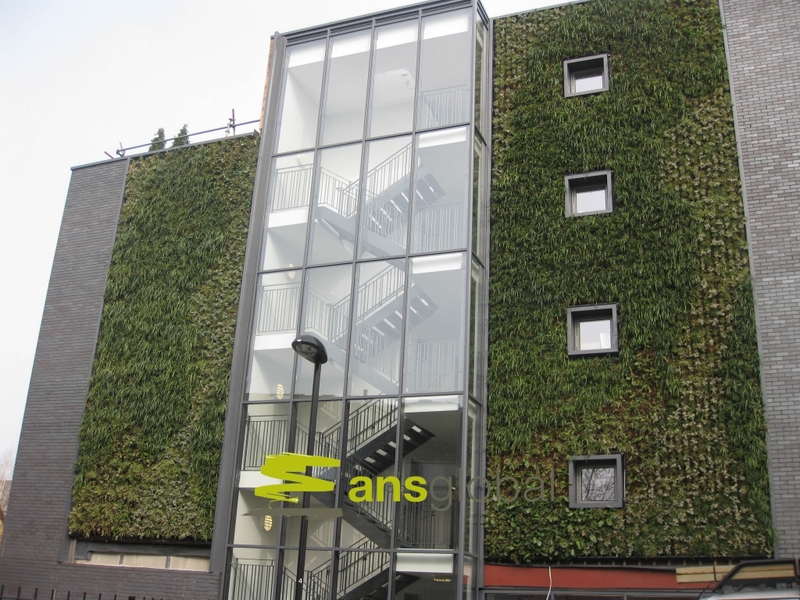 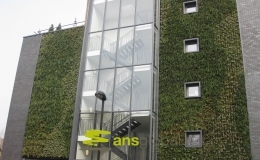 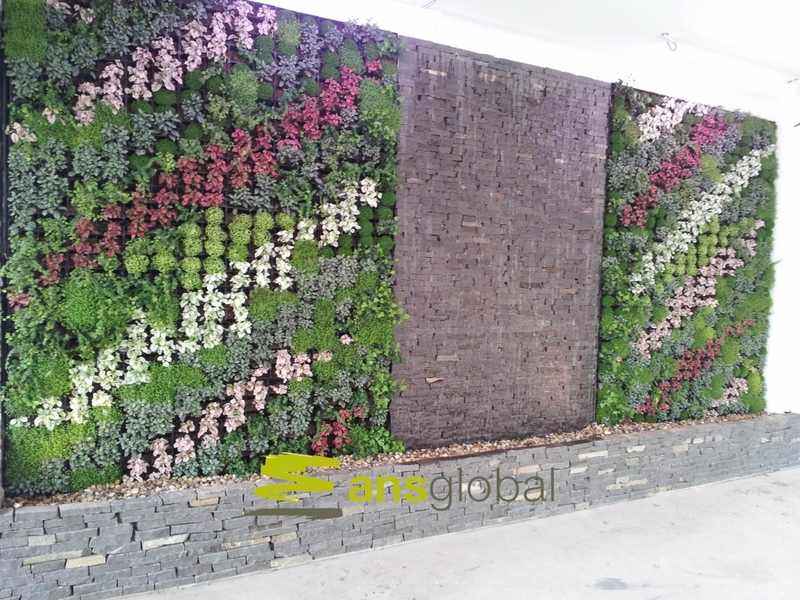 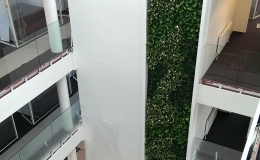 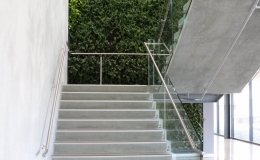 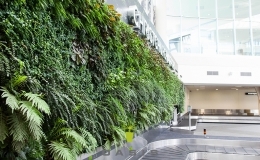 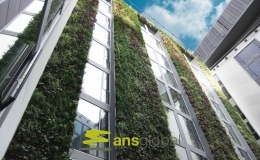 The superiority of the patented ANS living wall system, and our extensive ANS research and development program, has been the foundation of our global success. 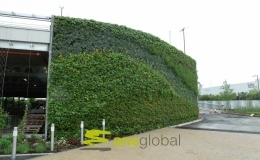 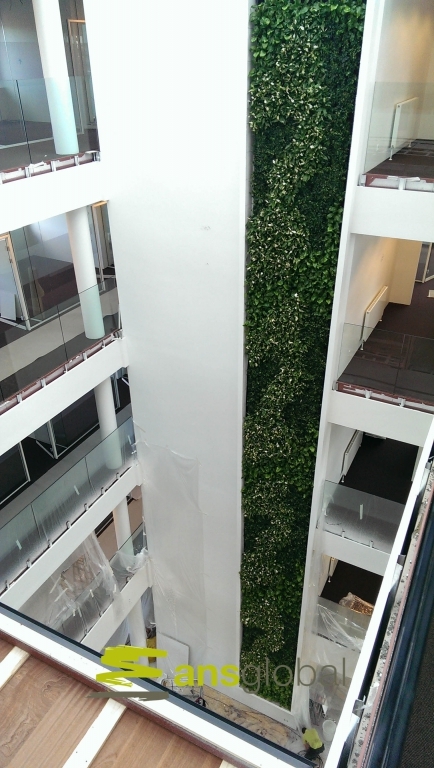 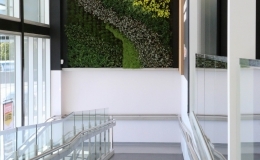 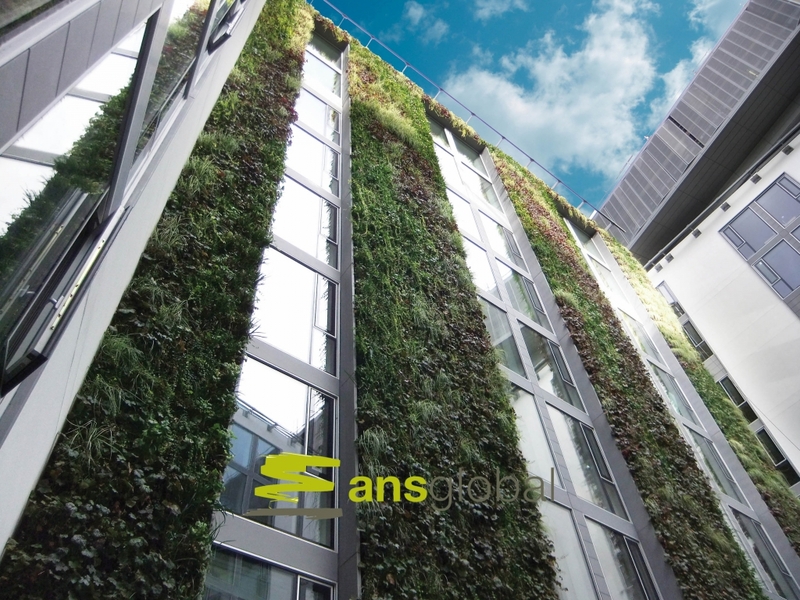 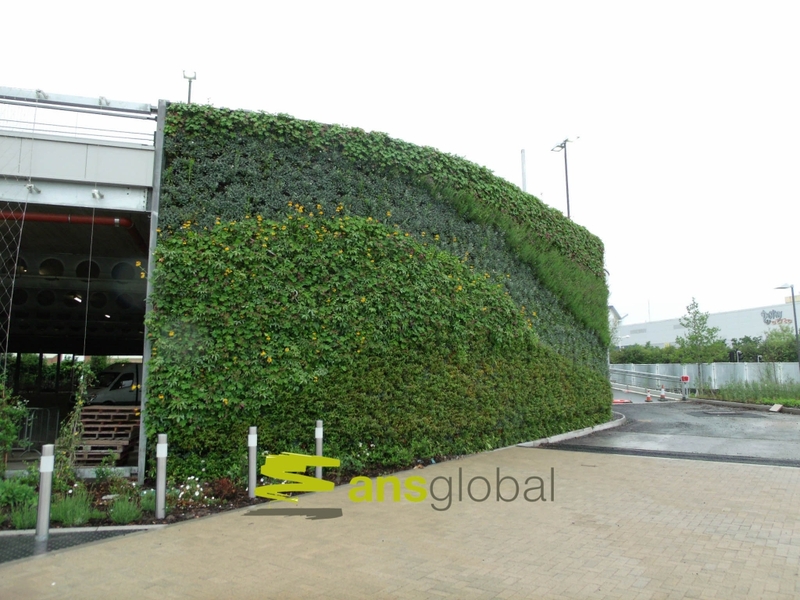 The ANS Global team has produced many of the world’s finest living walls, including the tallest indoor living wall in Europe, the iconic Olympic Aquatic Stadium entrance in London and even the recreation of Van Gogh’s famous, ‘A Wheatfield’ painting.